I love engagement sessions. 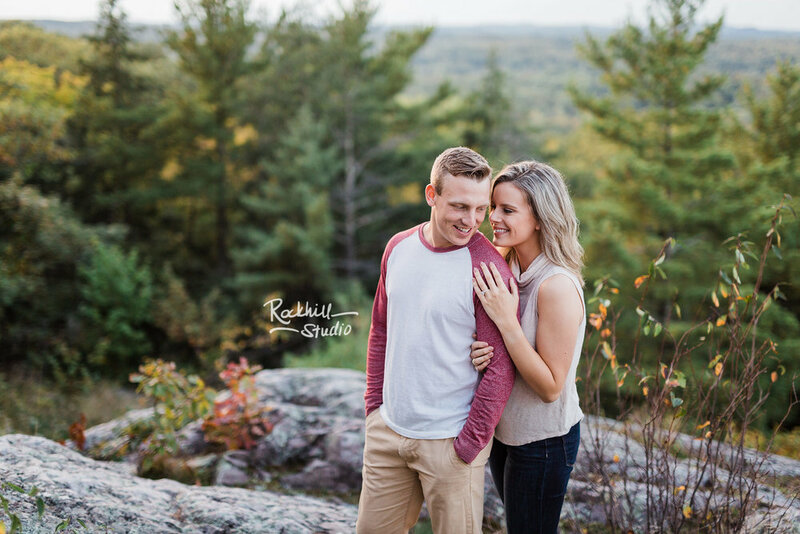 I love getting to know my couples before the wedding day, and these sessions are so much more relaxed than a wedding day typically is. This means we really get to shoot without the pressure of keeping within a timeline, we can just kick back, relax, and adventure around, capturing my couples being...well, a couple! 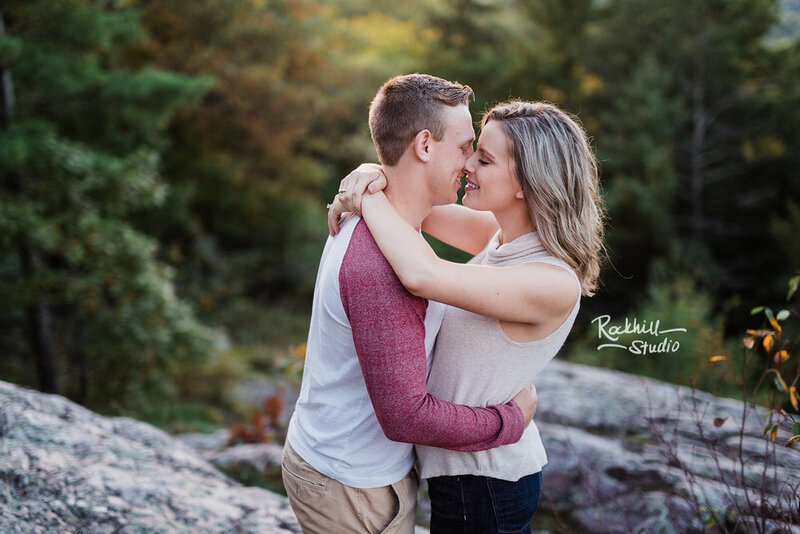 And I simply ADORED Samantha and Austin's engagement session. It was the most perfect day you can get. 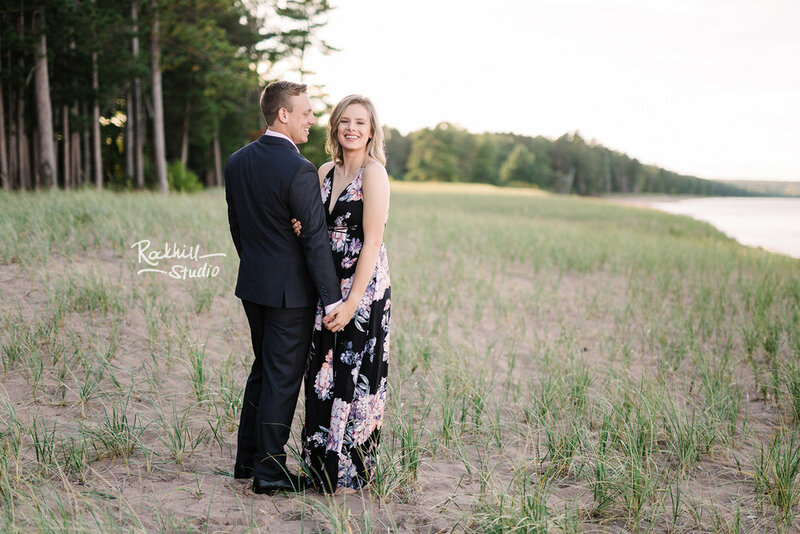 We actually shot this session in the Marquette, MI area, where the couple chose for their session. The temperature was so perfect it was one of those evenings where you weren't too hot or to cold...you just were outside, not even thinking about anything else but the amazing evening. No bugs, no rain...it was amazing. And then enter in the couple (and their two sweet fur babies!) and it just got even better. 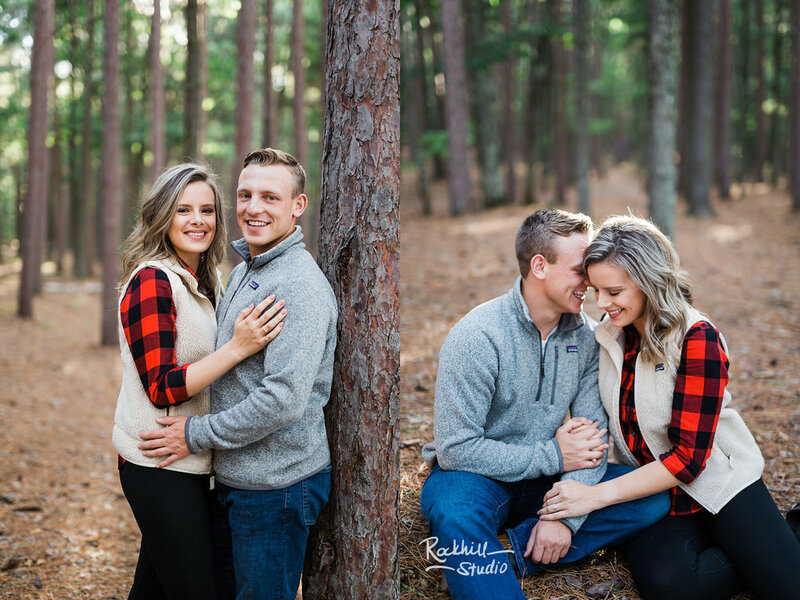 I have so many favorites from this session...and here are a few highlights! From the woods, we moved on to the beach for some more photos! If there's one thing Michigan has a lot of, it's amazing beaches! From the endless sand of Sleeping Bear Dunes lakeshore near Traverse City, to rocky beaches along Lake Superior, to a thousand other spots in this state, I will gladly shoot along the water!! 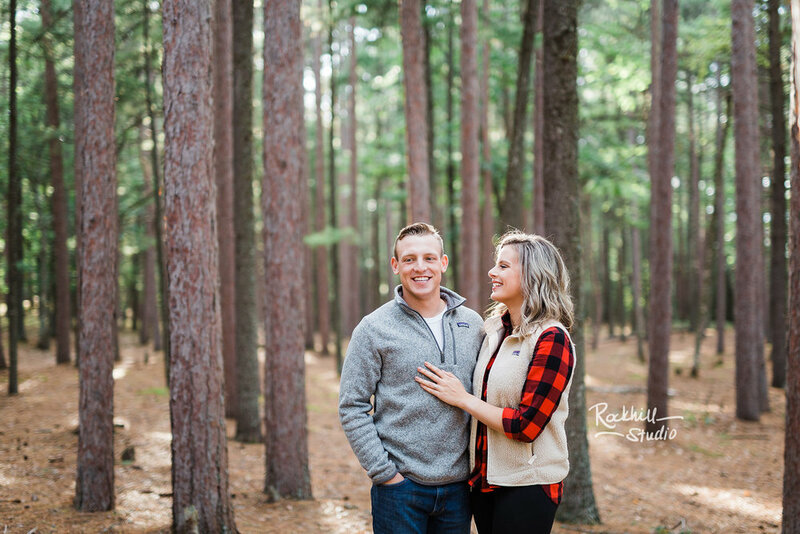 Engagement session tip: pick one outfit that is extra dressy! I LOVE when my clients pick a dressier outfit for a few of their images. And when they take that extra step to go extra classy and get somewhat formal, EVEN BETTER. Seriously. I am obsessed with a more formal look for pictures (not all, I love the casual looks too!) but it makes the pictures *that* much more special and romantic and memorable. 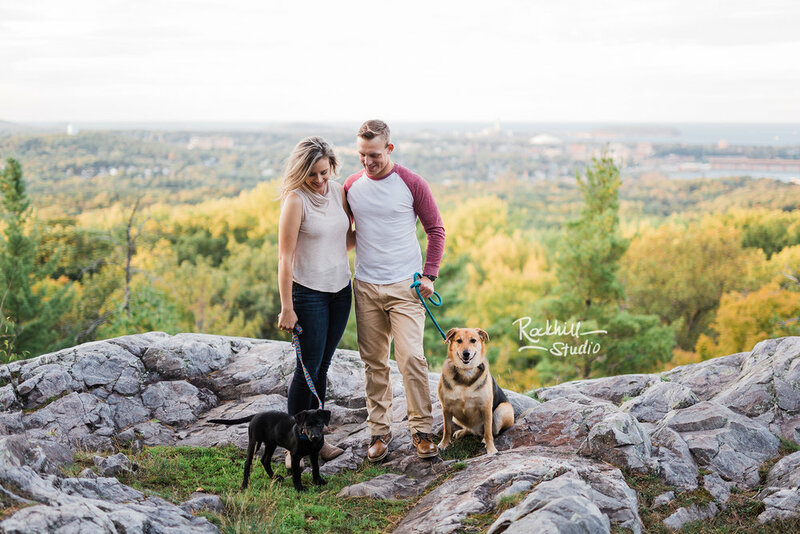 You can always get pictures in your casual clothes, but take that extra step to make your engagement session unforgettable. After the beach, we moved on to an overlook that is a favorite of mine to shoot at! It was the perfect ending to round out an amazing session.